The electronic pioneers' 19-year dispute regarded a sample of "Metall auf Metall"
In a surprising about-face for the legally dwindling trajectory of sampling, the BBC has reported that electronic hall-of-famers Kraftwerk have lost a copyright case in Germany’s highest court. Hip-hop producer Moses Pelham used a two-second drum sample of the group’s 1977 song “Metall auf Metall” in his arrangement for Sabrina Setlur’s song “Nur Mir (Only Me)” in 1997, and the band’s Ralf Hütter filed an intellectual property rights infringement claim. And so in 2012, Germany’s federal court of justice appeared to agree that it was copyright infringement, citing the fact that Pelham opted to sample despite apparently having the means to record the same sounds himself. 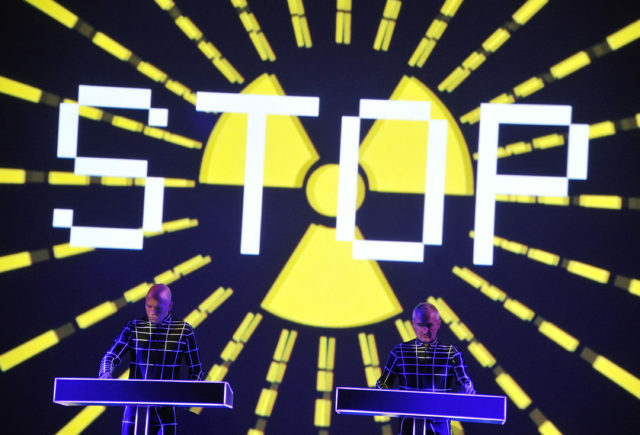 Listen to Kraftwerk’s “Metall auf Metall” and Setlur’s “Nur Mir” below.